Go there. Exercise your freedom of choice. Sing the praise of all the local businesses that make up this community we call home (we’d list our favorites here, but instead we’re just going to go vote!). And who knows! Maybe, come October, we’ll celebrate together by clearing off that pool table and letting it fulfill its purpose in life. So, that’s the 2011 campaign, Nashville: freedom of choice. 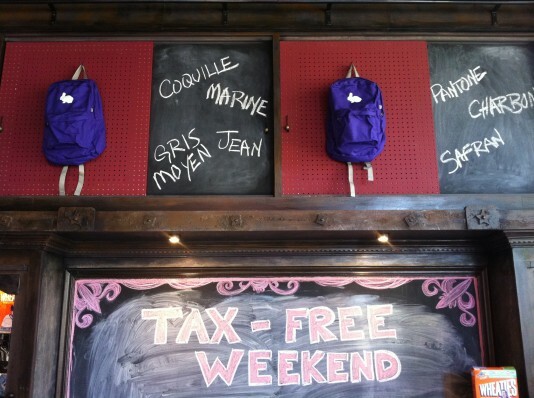 Sure, at some point in here we’ve probably claimed that Black Friday is our favorite holiday, but here’s what, Nashville: Tax-Free Weekend celebrates shopping AND school! It is therefore our ultimate favorite holiday. Starting this Friday and running until Sunday night, you won’t pay any sales tax on apparel under $100. And unlike our friends and neighbors, we offer you ONLY apparel under $100, so everything in the store is tax-free. And yes, of course we have Nashville and bunny shirts in new colors to celebrate the holiday. And yes, of course we have summer items on sale. And yes, of course our A/C is cranked up. 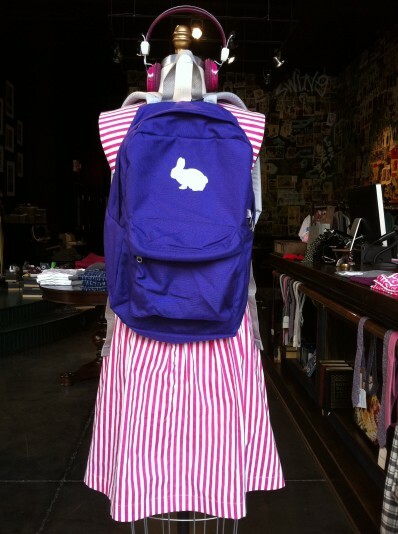 And yes, of course we printed bunnies on backpacks.